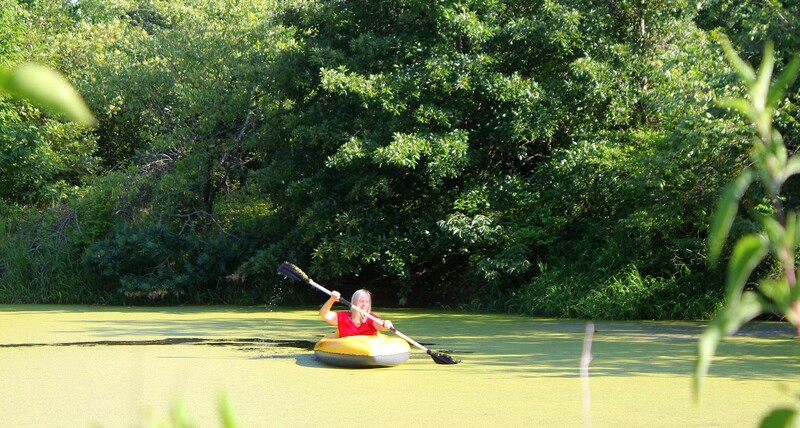 Me paddling around on my Walden Pond in the early morning. I might be working hard on my business start-up, but I take time every day to stop and drink in the beauty of it all. 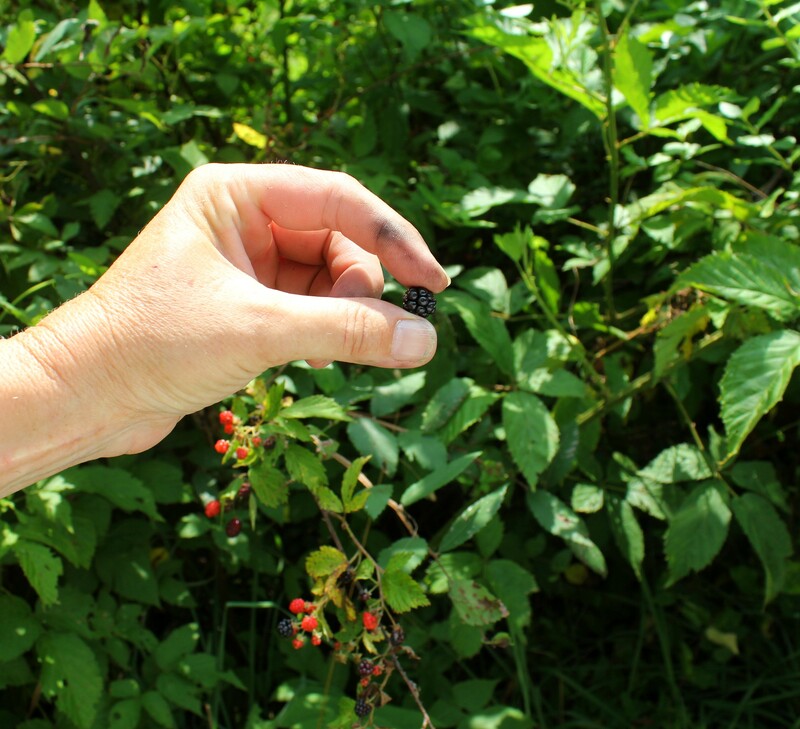 After a hard morning of building and harvesting duckweed, nothing like reaching out through my pickup window and picking a few blackberries on the trail back to civilization. 150 ft above sea level in WA State. It’s so consistently cool here that we don’t even have heartworm mosquitoes — they need at least 72 consecutive hours of 70F or higher. It’s August and I still have four wool blankets on my bed. I did take the down comforter off, though. To be fair, the concrete half-sphere was sitting in a mostly-shaded area with some branches hanging over it. There might have been more before I noticed them if the ducks found them before I did. NOOooooo! I was already contemplating movie rights!!! Hey, that is great on duckweed coming back after all this time. Where do you live- on a mountain top? 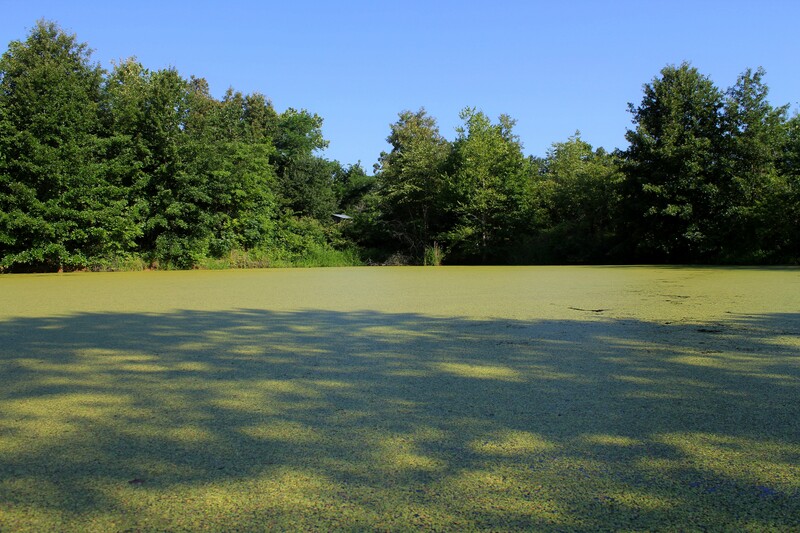 To be honest, I had no idea large ponds of duckweed would be THAT BEAUTIFUL. It knocks me out every time I look them. 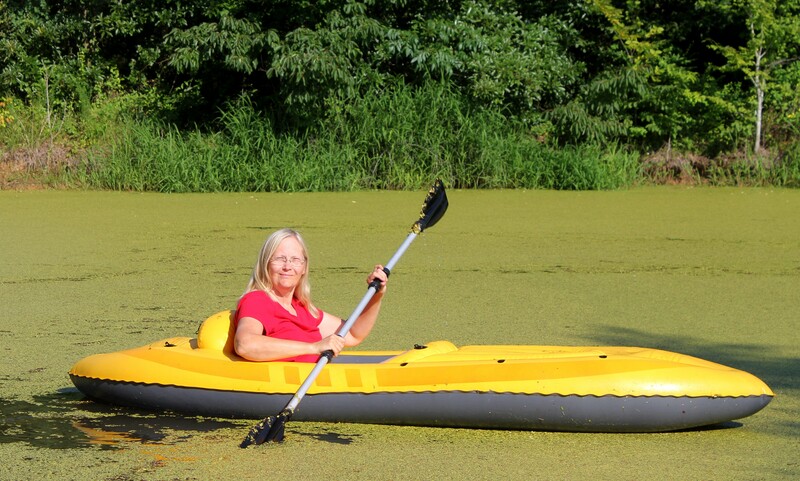 … Even though no one will make a movie called “On Duckweed Pond”. Did I remember to tell you that some of your Lemna survived the winter here? I moved it out into the sun and it’s growing… slowly. Our 50F nights and cool mornings probably don’t help any.